"With the help of his tactician Beltrik, the Veiled, Skolas thwarted them." Beltrik, the Veiled is a noble of the House of Wolves. 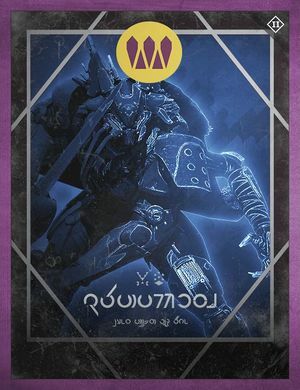 During the Reef Wars, he aided in Skolas' escape into the Hildian Asteroids, preventing the Reef from achieving a decisive victory against the Wolves. When he emerged from hiding to collect Ether on 19 Fortuna, the Awoken attacked his fleet by crashing an asteroid into Fortuna, devastating his defensive line and allowing for his capture. He was sent to the Prison of Elders. During the Wolf Rebellion, Beltrik escaped the Prison and fled to Venus, taking refuge with the House of Winter inside their lair. He was designated a Queen's Wrath target, and later eliminated by Glimmer-hungry Guardians. Wolves' Guards and Wolf Scavengers were affiliated with him. In Forsaken, it is revealed that at least one Fallen individual trained under his name, as a "Student of Beltrik" may occasionally be seen wandering the wild having escaped from the Prison of Elders.